Hasta la Vista 2008 ... !! The inspiration for this post stems from all the other New Year posts I have read from the blogs of my friends. Sadly, I do not match up to the detail of my friends. Was it a good year? or a bad one? I am not sure. A year when I started running away from problems instead of facing them. A year that disappointed me the most personally. A year when I could no longer EVEN-IF-SOMEONE-DOES-BAD-TO-ME-I-WILL-STILL-BE-GOOD-TO-THEM. A year when self respect hit an all time low. A year when home became a house again. A year that was spent over and over again trying to start a new life. 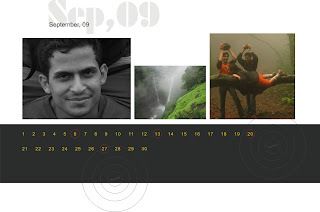 A year when I tried to run away on weekends as much as possible just to shun the chaos. A year when I made the most mistakes. A year when I grimaced more than smiled. A year when I fought the most. A year that gave me names like NO-LONGER-CALM, CHANGED-A-LOT and many more that I cannot put down here. 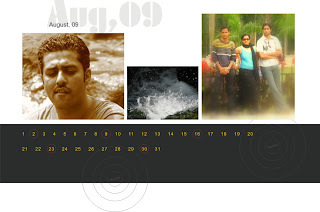 A year when lots of friends/relatives preferred to stay away from me. A year when I struggled to find people to share my good days. A year when I smoked more than before. A year that I want to forget. I saw some new places. People who ridiculed me came up and talked to me. I went to Mumbai twice. I had a great time with DAPP. I finally went to GOA. Lots of my good friends got married. I overcame my fear of English movies. I realised that I need to take my time before I call someone GOOD. I was a Taklu for 3 months and I had a moustache for 3 months. I reduced boasting about myself. I am sure everyone has his/her UPs and DOWNs ... I am no different ... here's wishing a very happy and prosperous New Year to everyone ... Enjoy ... Cheers ... !! Friends get hitched ... !! Three of my good friends got married over the last week or so. Its fun attending weddings ... especially if all 3 were in 3 different cities and with 3 different set of people. 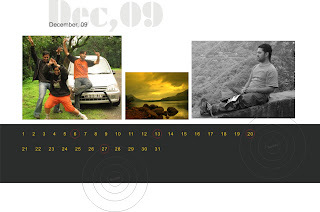 The first one was on December 20 in Pune. 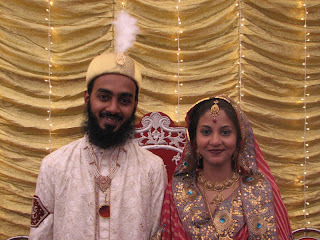 It was the Nikaah of Murtaza and Rashida. We had gone with some of our close Fergys friends. It had been such a long time since I last attended a Muslim wedding. I could not have missed it at any cost. We were not disappointed. 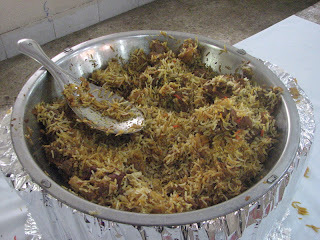 The Biryani ... the kababs ... and the curry along with Rumaali roti and ice creams were of the highest order. The only thing disappointing was when Murtaza chatted to me 3 days later and told me that lot of the food got wasted since lots of people didnt turn up. That was like a dagger. I could have done with some more of that food. 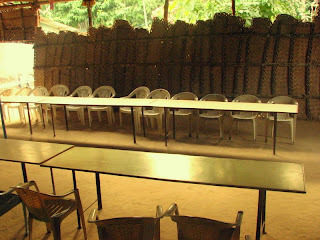 How can people afford not too attend such a feast ... !! 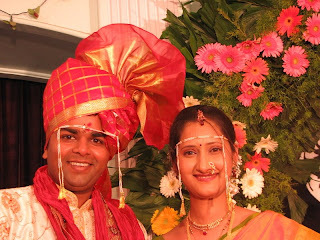 Bhushan and Minal got married the next day at Kolhapur. 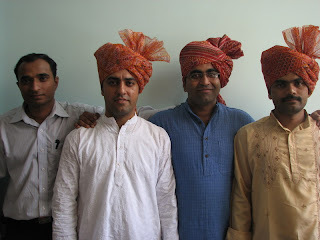 This time Charan, Prashant, Lalit and I went to Kolhapur to attend the wedding. 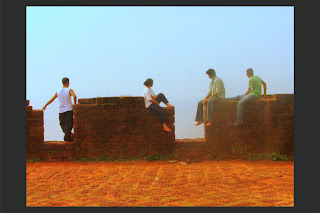 The drive to and fro Kolhapur was amazing with that kind of company. 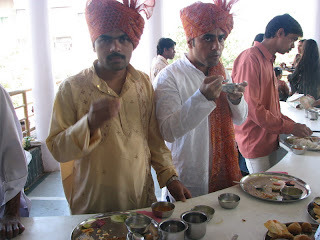 It was a typical Kolhapuri wedding ... an entertaining Baraat with everyone dancing on the roads ... lots of pretty faces for the eye exercise ... and Zhanzhanit Kolhapuri Jevan with Papads, Achaar, Masaale Bhaat, Tava Bhaaji, Batata Vade, Puri, Chapati and Moong Halwa. 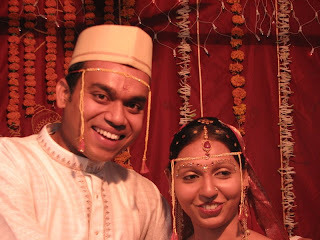 Yesterday, Pranay and Devyani got married at Thane. One more chance to visit my favorite city of Mumbai. Pranay is one of my closest friends and it felt great to see my GD getting married. This guy has had his share of ups and downs. More downs than ups. I admire him for the way he has taken everything in his stride. Great person and a great advertisment for friendship. The company here was totally different. 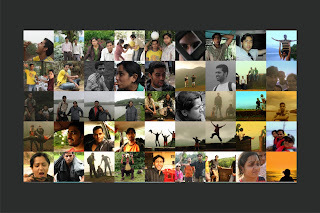 Mahesh, Anay, Rupesh, Ankur, Swapnil and Gunjan. 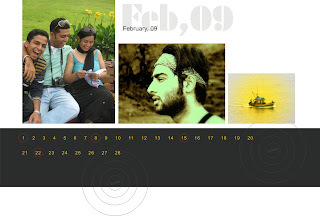 Not to forget ... Biwi was also with me :). 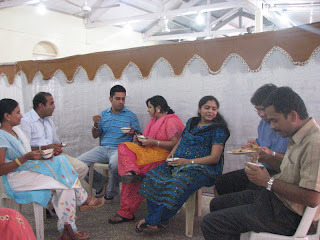 Again, food was amazing ... mostly on the lines of Bhushan's wedding. . Our return train was from VT. It was such an eerie feeling to be walking across the length of VT (I dont like calling it CST) ... there were some bullet marks visible on one of the walls and it only made us look away ... just imagining the massacre is such an exercise in thought. But, its a time to rejoice for 3 couples ... time for them to have a fabulous life in matrimony ... Cheers to Murtu, Bhugho and Bunty ... way to go gentlemen ... !! DAPP Calendar is ready ... !! It looks great. That being an understatement. I have said it a gazillion time before that it gives me immense joy to execute a plan successfully. 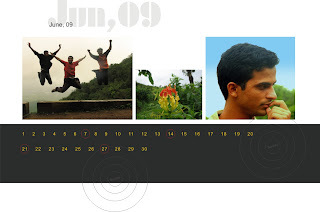 The DAPP (for late risers its DineshAmrutaPratikPrakash)Calendar was planned last month and it has come out better than expected. 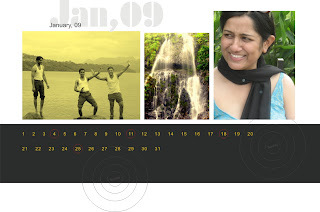 Selecting the pics for the final Calendar was an arduous task but we saw it through. Once we had pics for all 12 months ready ... we decided we will have 3 more pages. The first page would be a cover that will have all 4 of us in the pic ... the second page would be a Collage containing lots of pics of the 4 of us ... this page will be present between the pages for June and July ... and finally the last page would contain another pic that contains all 4 of us. We were extremely lucky to get 2 pics that contain all 4 of us. 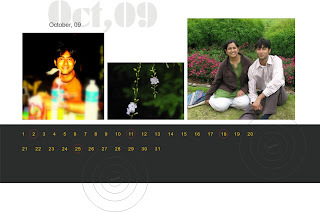 Once we had pics for all 15 pages ready, I sought the help of my colleague at work ... Rahul ... who downloaded some nice 2009 Calendar templates and effectively organized all the pics on the template. Thanks for that Rahul. 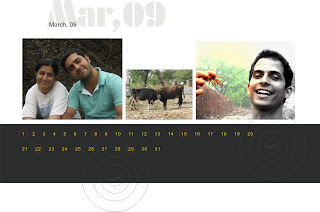 I got the pages printed from Exquisite printers as referred to by Rahul and then got all 3 calendars binded from ABC. It looks even better on paper than on the computer. 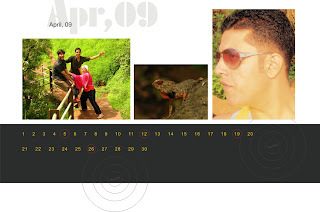 Here is a sneak peek at THE DAPP CALENDAR FOR 2009 ... !! Myths shattered at Diveagar ... !! 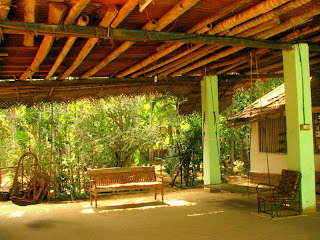 Diveagar is one of those places that I have always relied on for a good time. I have been there so many times that I have formed an alliance with lots of stuff connected to Diveagar. For example, the place to stay, the time to travel, the route, the place to eat, etc. All these myths were shattered this weekend. I had been to Nagaon some time back and the road condition from Pune to Nagaon is extremely good. When I was going to Nagaon, I had seen a diversion towards Mahaad (this is not the Ashtavinayak destination). I knew that Mahaad is situated some way after Mangaon, a town from where the actual diversion of Diveagar is situated. I wondered if I can take this path on my next trip to Diveagar coz the original route for Diveagar (read Chandni Chowk - Mulshi - Tamhini - Nizampur - Mangaon - Diveagar) is frought with potholes and is capable of damaging the vehicle as well as some of your limbs. We opted for the Pune - Pimpri- Khandala - Khopoli - Pen - Nagothane - Kolad - Indapur - Mangaon - Diveagar route. It was close to 50 kms more than the Mulshi route but we reached Diveagar in less than 4 hours. I dont think I will be going from Mulshi unless I hear the road condition improves drastically. 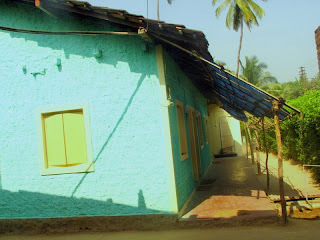 We always thought that leaving from Pune at around 7 am is the ideal time if you are travelling to Diveagar. 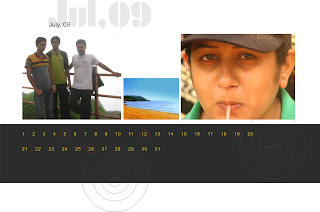 We had been to Goa 2 months back. 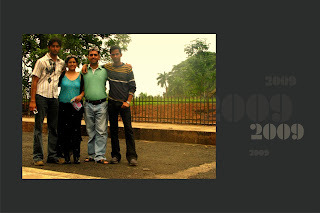 We had started from Pune at 1 am at that time in order to reach Goa by 8 am. We tried this with Diveagar too. No, we didnt leave at 1 am. 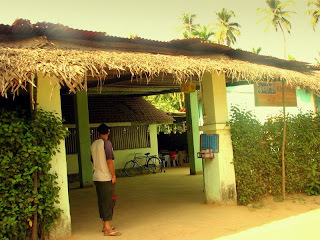 We left at 4:30 am and reached Diveagar at 8:25 am ... in time for some lip smacking Konkan breakfast. Now that I am talking about food, another myth stands to be broken. I have always been fond of fish and prawns whenever I go to Konkan. I didnt battle an eyelid before deciding that I will have it at the residence of Mr Potnis. The lady there made amazing fish fry and prawns curry. For veg food, it was either Bapat or Kelkar. 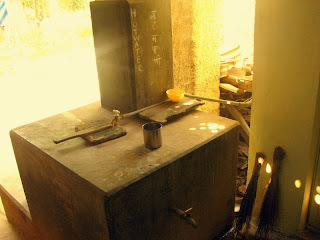 When we reached Diveagar, we went to Potnis and expressed our desire to have fish and prawns. We made it a point that we want only fish and prawns and that we didnt want rice, chapati, etc. We were told that they dont serve anything like ONLY FISH AND PRAWNS. They serve a Non veg thaali which has chapati rice, prawns curry and 2 pieces of fish. Thats hardly what you want if you are craving for fish and prawns. We vetoed the option of Potnis right there. My brother-in-law has a pet Great Dane called Simba. We had not brought him with us coz the place where we stayed didnt allow us to get pets. Simba was at Pune and the neighbours were taking care of him. Whenever we saw a dog, we missed Simba. Hence, we kept asking at other places if they allow pets. We found 2 such places. 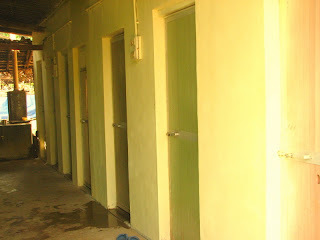 One was Mr Kshirsagar himself but they are busy constructing 2 rooms. 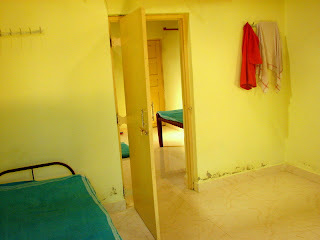 Currently, they dont have rooms for accomodation but once these 2 rooms are ready, they will allow pets. 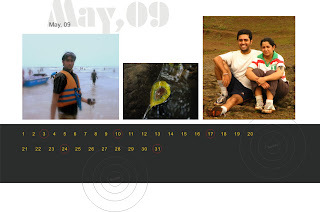 The other is Mr. Sanjay Patil. I will write down all numbers later in the piece. 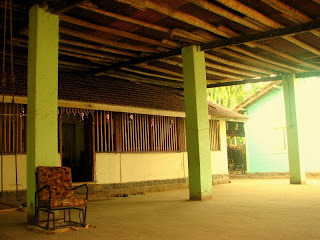 During my visits to Diveagar, I stayed mostly at Mr Potnis' place. But he no longer allowed anyone to stay. 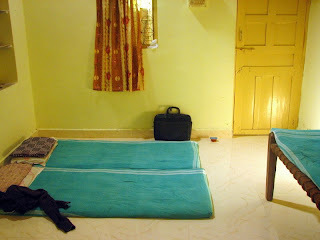 Hence, we had booked 2 rooms at Mr Prasad Kelkar's place. 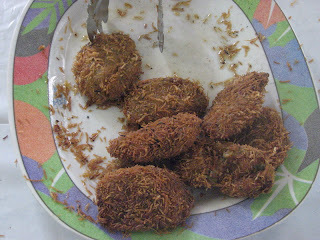 This is not the famous Kelkar from Diveagar. The famous Kelkar is put up at a place called Saket. Insetad, Prasad Kelkar was a bit of a lottery. We didnt know anything about him or his place. But it turned out to be a fabulous experience. Apparently, its a good feeling that the myths have been shattered in a good way. There will no longer be any dependency on anything in Diveagar. I have said so much about the myths that I almost forgot about the best surprise that we received. Dinesh and Prakash drove all the way on a bike to Diveagar to surprise us on our special day. They opted for the Mulshi route and suffered the after effects of that horrible road. But ... the cake, the T-shirts and the mugs that they gifted us with were priceless ... I am fairly convinced that it was the best gift that I have personally received. Thanks mates ... !! I am now dead sure of my next plan to Diveagar ... Cheers ... !! I am so glad that I decided to run the Pune International Marathon. Simply put, its one of the highlights of my life so far. I would be lying if I say that I was expecting this kind of aura to the event. Of course, it turned out to be a sour event for the international stars but the atmosphere was truly electric. It all started on the wrong foot for me. I was at my friend's place for the weekend in Kharadi and I had decided that I will go home on Saturday night so that I can reach the marathon on Sunday from my own place. But after being convinced of going from Kharadi itself, I decided to stay put. I borrowed Prakash's shorts(it didn't have pockets) and T-shirt. I had decided not to carry my cell for the marathon. Since I didn't have a place to keep my belongings, I was left with the prospect of driving at 5:30 on a chilly morning from Kharadi to FC Road. That's hardly a motivation. But, it had to be done. I drove from Kharadi to FC on Sunday morning. Stopped at 2 points on the way for Shekuti :) ... that's at Mundhwa and near Corporation. By the time I reached college, it was as if my legs were stuck in cement. But it turned out to be a blessing in disguise. I had to walk from college to Chitale and that warmed me up. I met Sonal, Manish and Vinay outside Deccan Post office and we were raring to go. The speeches from Suresh Kalmadi, Priyanka Chopra and another Mr someone was a dampener since it kept delaying our race. I don't understand why the people need some other people to constantly remind them about something bad that has happened to the country. I am sure everyone is mature enough to realize that and hence have decided to participate in such an event to pledge their support and to condemn the terrorist attacks. Anyway, that's beyond common sense. The race started at around 7:55 am from Khandoji Baba Chowk, 25 minutes behind schedule. As we descended from Lakdi Pul, there was a sense of excitement, not just with the participants but also with the people who peeped out of their homes, from their galleries and from the streets. There were scores of people supporting the race. As a participant, it does not get any better than this. Patriotic slogans were the order of the day. Kids stuck their hands out just for high fives. It was more than inspiration, at least for me and I am sure it was the case with everyone else. The first 2 kms came and went and it was only after the 4 km mark that I started to feel the heat. Close to the 4 km mark, there was a stage set up that was playing patriotic songs. Those songs kept me(and lots of others)going. When we crossed Seven Loves Chowk, I started to believe that I can complete the race without stopping. It was almost as if the legs got used to it and took me to the finish. There were lots of people on Main Street in Camp. I also saw school kids from my school on Main street with Lejims and dhol taasha in tow. Also, it was quite refreshing to see vehicles stacked at traffic signals just to allow the participants to run past. Wow, that was some feeling. It was quite an odd feeling to go past all those roads you zip past so effortlessly on/in a vehicle. Every km mark was so eagerly anticipated. To be honest, the stretch from Camp to the finish line was least tiring as the only thought running through my mind was to NOT STOP. There were a couple of incidents too. There was a group of around 5-7 youths that was always either in front of me or behind me. They were continuously shouting slogans like Bharat Mata Ki Jai, Vande Mataram and Jai Shivaji Jai Bhavani. When we were passing from Residency Club, they were engrossed in Bharat Mata Ki Jai. In this case, one of them would shout till Bharat Mata Ki ... while the people around him would chant Jai. They did this twice and everyone except one shouted Jai. Now these guys got irritated at the fellow who was not responding to their slogans. This could have been due to multiple reasons, most obvious being that the person must be tired to even say anything. But this group lost their cool. They howled at him "Kaay re ... Pakistani aahe ka tu $#@!%". The person still didn't respond. This group moved close to him and said "Chal mhann ... Bharat mata ki Jai". I felt sorry for that person. He was panting and looked short of breath. But he still managed to let out a rather squeaky "Bharat Mata ki Jai". The group was happy and they resumed their chants practice. When the 9 km mark passed and we were close to Kanbay, I passed a man. He asked me "Aur kitna dur hai?". I could see the 10 km finish line in the distance at Bund Garden. I told him (pointing towards the finish line) "Bass aur 5 minute, nazdeek hi hai". He replied "Kab se bhaag raha hoon mai ... saala 4 km ke naam pe kitna bhaga diya". I almost stopped. I told him "Boss, 4 km kaa route to alag hai ... aap yahaan kaise aa gaye?". He got so bugged that he stopped there itself and started shouting "Kidar hai woh kamine? Inko samajhta nahi bataane ko". And I moved on. I reached the finish line within 5 minutes from there. I met Vinay at the finish line. He had completed the race in 53 minutes. I came in 6 minutes later. Sonal came in another 7 minutes later followed by Manish. To be frank, we all seriously felt that we could have gone on for at least another 3-4 kms. Not because of our ability but because of the momentum. We all walked from Bund Garden to Madhuban for breakfast. We talked about how good it felt after finishing the race and how the body is going to ache tomorrow. We all left for our respective homes in some time. I can say one thing for sure. 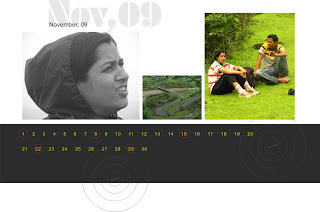 If I am in Pune in December in any year, I will participate in the Pune International Marathon. An enriching experience without a shadow of a doubt.